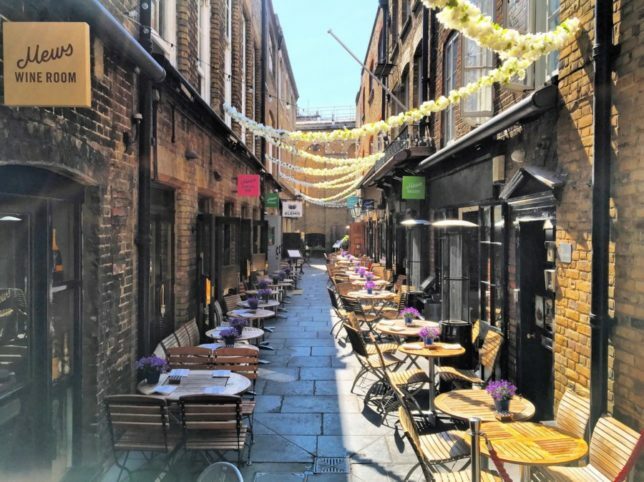 Mews of Mayfair is a unique hideaway, tucked away in one of London’s historic courtyards. 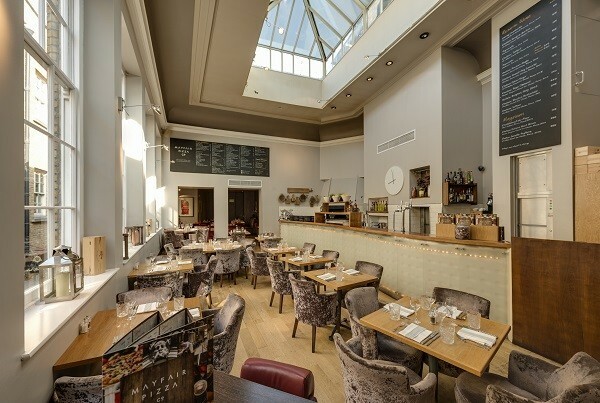 With a choice of different bars situated around a chic courtyard, including a first-floor brasserie and a pizzeria, this is a place for everyone. From brunch to late night drinks, it’s the perfect spot for all budgets and palates alike. Located in two 18th century stable houses, Mews of Mayfair is an elegant eating and drinking destination that populates the entire Mews. 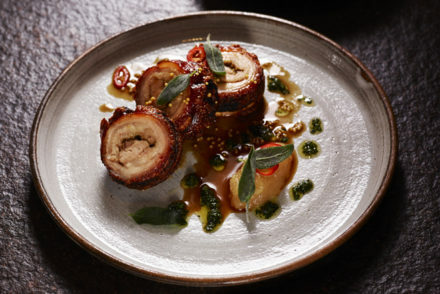 Following a quick refresh and overall ‘polish’, Mews of Mayfair has a newly found spring in its step and is excited to announce some new additions across its menus, from fresh and delicious seasonal dishes to opulent cocktails, as well as additional artwork added throughout the venue giving each destination its own unique character. 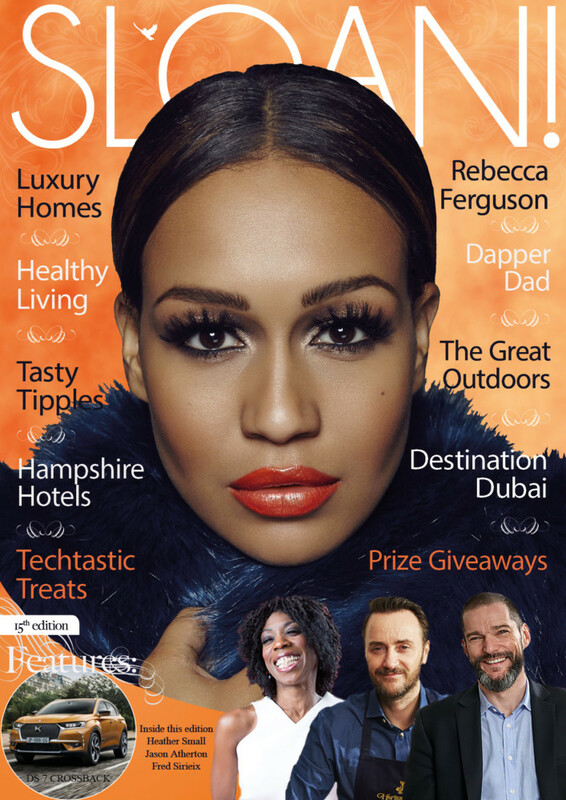 The Mews Courtyard Bar sitting at the heart of Mews located on the ground floor with outdoor seating along the stunning cobbled courtyard, offering a rare opportunity to enjoy al fresco seating away from the busy streets of Mayfair. Mews Brasserie above the bar is perfect for foodies and those looking to try a menu curated by executive chef Sam Ryder that is fresh, seasonal and exciting with minimal fuss and maximum taste with much-loved classics and popular weekend brunches with the Sunday roast serving only the finest cuts of rare breed Hereford beef. On the other side of the Mews, opposite Mews Courtyard Bar, is the Mews Cocktail Bar, where dip-dyed oak panelling runs throughout the interior creating a glamourous setting for any thirsty visitor. A carefully curated cocktail list offers classics including a whole collection dedicated to the ever popular Negroni and more inventive creations. Located above Mews Cocktail Bar, is Mews Pizza Co. where we headed for an evening’s dining. The lofty pizzeria boasts floor to ceiling windows directly overlooking the bustling courtyard below. 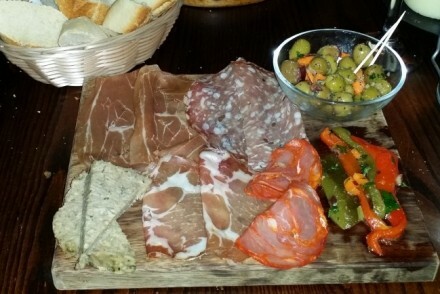 We ordered a couple of aperitivo cocktails to sharpen the appetite. 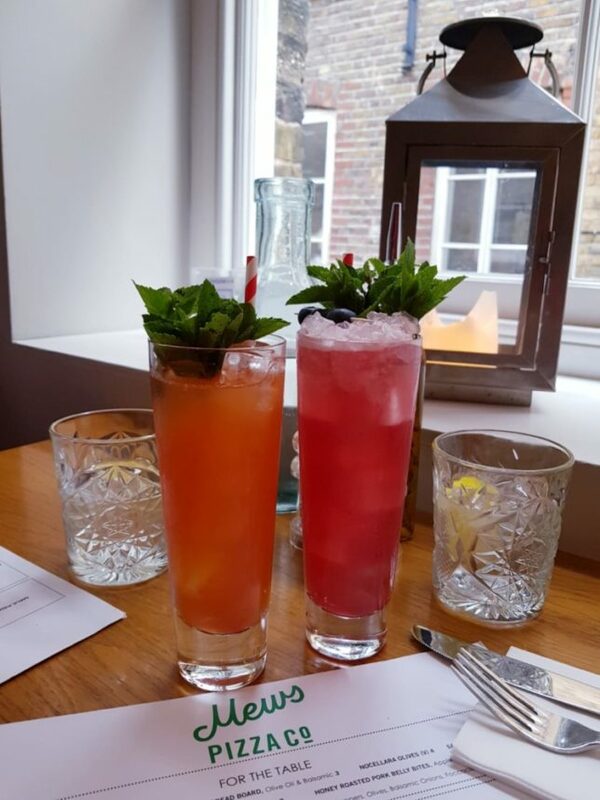 With a brand new partnership with Campari Brand it would be rude not to kick start your meal with a Campari or Aperol aperitivo to transport you to an Italian piazza as you dine surround by vintage Campari murals. MPC specialises in hand rolled sourdough pizzas with seasonal favourites such as the Mews Truffle Pizza; mozzarella, porcini mushroom, black truffle, soft cheese and truffle oil. 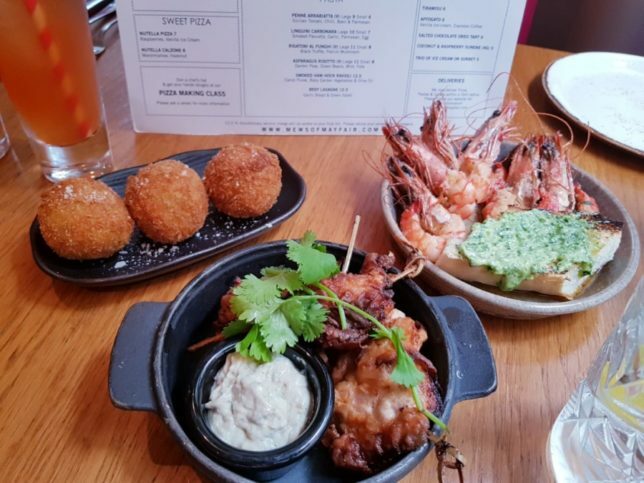 To kick things off, we ordered some nibbles and starters to share. 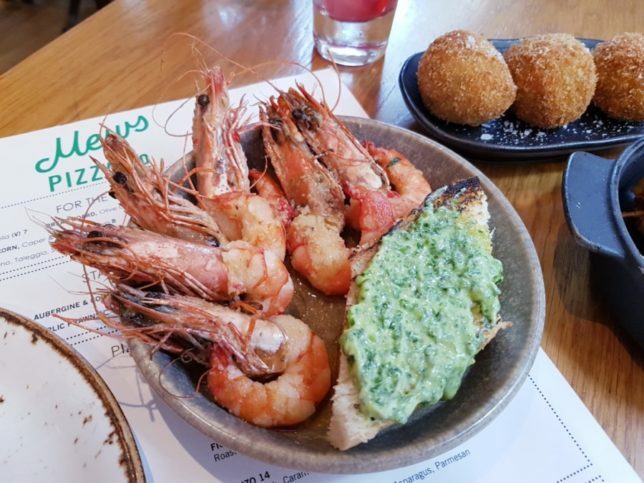 The Garlic Prawns are served head on but shelled coated in a deliciously moreish garlic chilli and olive oil mix that had us reaching for more. A chunk of garlic bread is served on the side for an extra hit of buttery garlicky goodness. 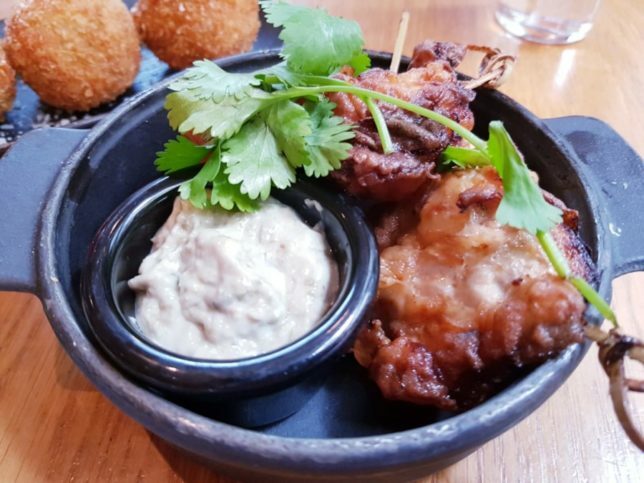 Spiced Buttermilk Pork Popcorn is served with Caper & Anchovy Mayo which complements the pork bites perfectly. 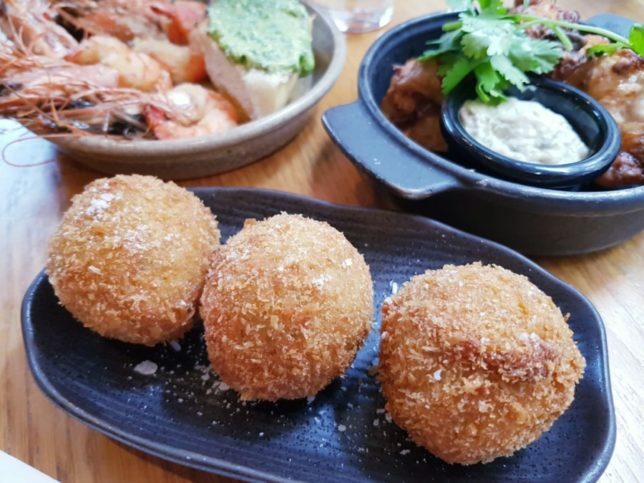 Truffle Arancini had to be our favourite of the starters – generously proportioned with a delightful umami flavour from the truffle flavoured filling. You can’t come to Mews Pizza Co. without ordering their pizzas so for the main course I chose the Fico – one of the new pizza choices on the Seasonal Menu. 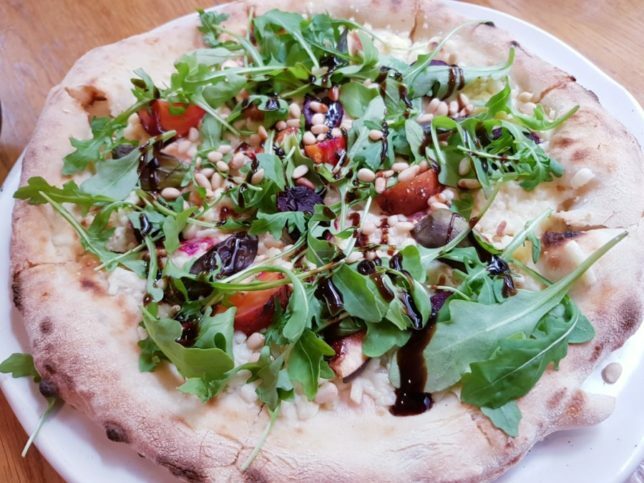 This tasty treat sees roasted beetroot, balsamic glazed fig, rocket and toasted pine nuts scattered over the sourdough pizza base with goats curd. I ordered mine with vegan mozzarella instead which still tasted delicious. My dining companion chose one of the timeless classics – the Diavola. This delicious pizza is topped with Tomato, Mozzarella, N’duja Sausage, Fresh Chilli and Parmesan. 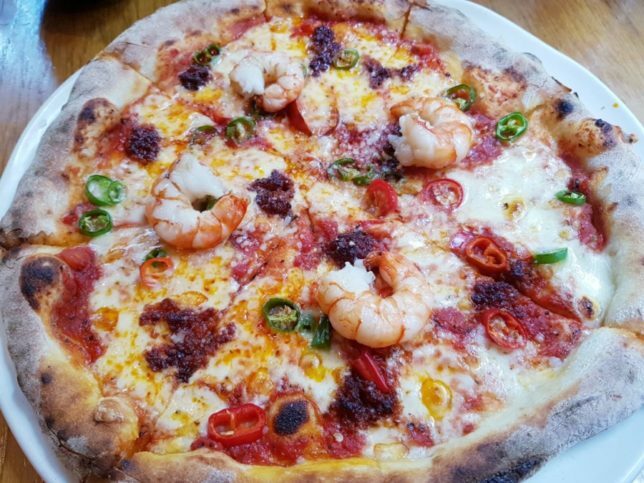 We added an extra topping of juicy prawns to take this devilish pizza to the next level. 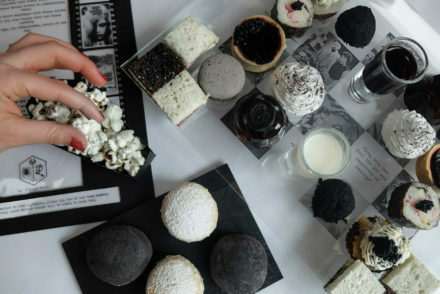 For those with a sweet tooth, desserts include traditional choices like Tiramisu and Affogato alongside other sweet treats like Amalfi Lemon Cheesecake, Salted Chocolate Oreo Tart and the vegan-friendly Coconut & Raspberry Sundae in addition to the ultimate indulgence of Nutella Pizza and Nutella Calzone. 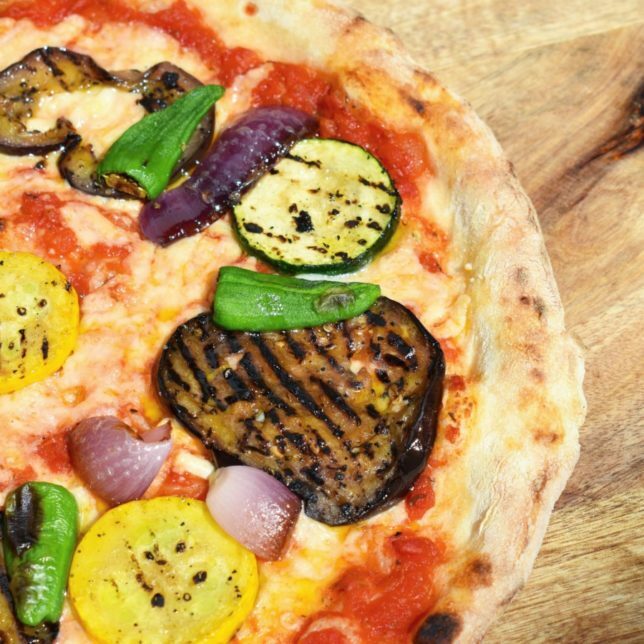 Whether you are vegan, vegetarian or a committed carnivore, the new summer menu at Mews Pizza Co. has something to satisfy any pizza lover with authentic Italian flavours and creative culinary combinations.